Maple Leaf Monster Jam®, starring the biggest performers on four wheels: Monster Jam monster trucks! The twelve-feet-tall, ten-thousand-pound machines will bring you to your feet, racing and ripping up a custom-designed track full of obstacles to soar over or smash through! Monster Jam provides a massive night’s entertainment tailored perfectly for your family’s budget, and these colorful, larger-than-life beasts are sure to capture the hearts of both young and old. 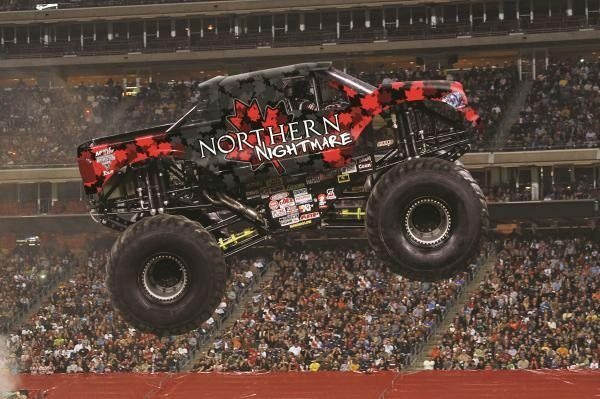 To save $4.00 per ticket, use coupon code MUM4 when ordering your tickets at the Monster Jam purchasing link. *Excludes Front Row, Gold Circle, TAP, and VIP tickets. No double discounts. Additional Fees May Apply. Weekday is defined as Monday thru Thursday and Friday Matinee. Weekend is defined as Friday evening and Saturday and Sunday. OR ENTER TO WIN A FAMILY FOUR PACK TODAY!